Looking for some frights to dig into after your Thanksgiving feasts? We have you covered with today's Horror Highlights, which includes release details for Friends Don't Let Friends, the chilling synopsis for 11th Hour Cleaning, and the trailer for the scary short film Balloon. Official Synopsis: As a group of friends come together to cover up a murder, they end up stranded deep in the desert, and have to band together to make it out alive. The further they venture into the darkness, the closer they come to discovering that each one of them is more dangerous than anyone had ever realized. It’s only a matter of time before they understand… Four people can keep a secret, when three of them are dead. The shooting style of Friends Don’t Let Friends keeps a fast paced momentum, and continually engages the audience in a voyeuristic way. Jamie and Lyndee brought a docs-style feel to a violent and twisted horror story that truly makes it hard to look away. 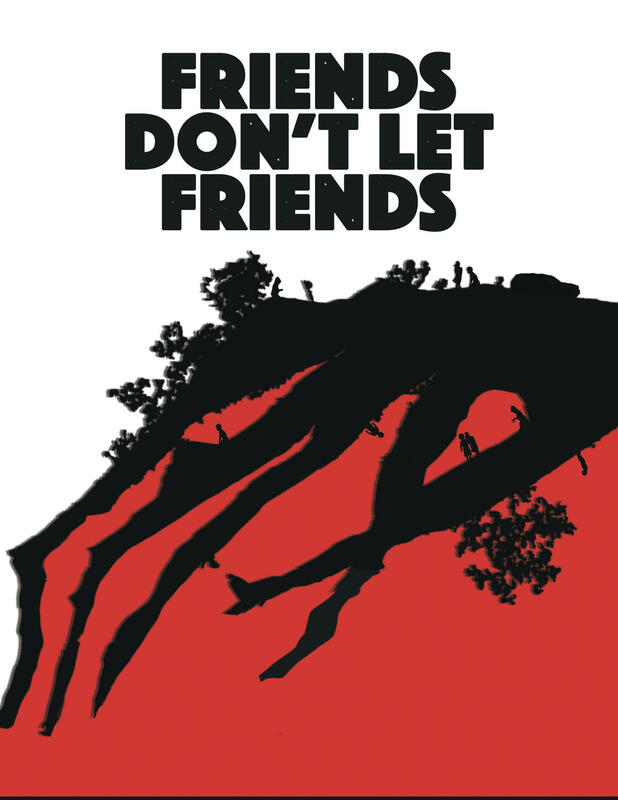 Friends Don’t Let Friends stars Jake White (SYFY’s Children of the Corn 2009), Brittany Anne Woodford (A Family Man 2016) Jenny Curtis (Any Bullet Will Do 2016), Brendan McGowan (Sweet Darling 2016) and Kanin Guntzelman (NBC’s Southland 2013). Brownwell Entertainment is a husband and wife team helmed by Jamie and Lyndee Brown. Lyndee is a Reality TV Executive Producer, whose career has spanned every style and genre of non-scripted television. Jamie is a writer, director and cinematographer, with a background in commercials, music videos and documentaries. The combination of their unique points of view, has turned Friends Don’t Let Friends into a raw, suspenseful, and psychologically twisted horror film that even in its wildest moments still feels grounded in reality. John Stevens composed the score for Friends Don’t Let Friends, his unique style and cinematic soundscapes were something that Jamie was drawn to back in 2007 when a friend recommended John’s band Ghost Machine. The style of music was unlike anything Jamie had heard before and they have been working together for almost 10 years. Friends Don’t Let Friends is John Steven’s and Brownwell Entertainments first feature collaboration. hell bent on driving them insane. help of co­producers Ed Morrone ( White Collar, The Fugitive Chronicles, ) who co­stars, and editor Eric Brodeur ( Filly Brown, Exeter ), who will also lend his hand in the editing bay. commence on December 9, 2017, in the director’s hometown of El Segundo, CA. previous short film, Stranded, is available to watch here: https://youtu.be/I3irqcOG3Og"
Balloon Trailer & Poster: Press Release: LOS ANGELES – Mitchell Shan’s short thriller, Balloon, was recognized this past weekend as the Scariest Film at the Northern Frights Festival in Ontario, Canada. Directed by Mitchell Shan, Balloon debuted this summer at the HollyShorts screening at the Mann’s Chinese Theatre and has been an official selection at numerous festivals around the globe. 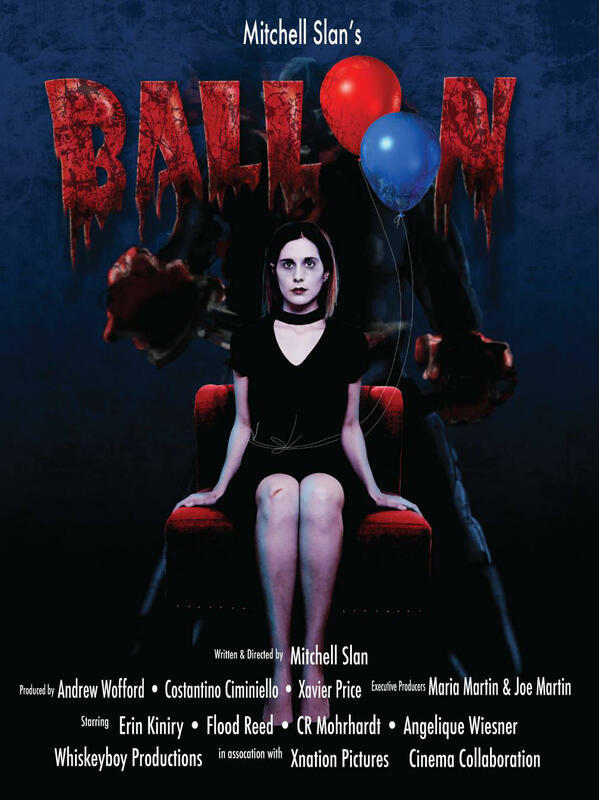 In Balloon, Penny fights her phobia of balloons that developed from childhood trauma involving a clown-like serial killer through psychological experimentation.